Evading flesh-eating zombies amidst the undead apocalypse is a pretty good prompt to run like hell, no? The fear, the anxiety, and the uncertainty of what’s behind—fictional as the subject may be, the reaction is one that surely all of us can agree on. If you’re up for a real challenge, you can opt into zombie chases, which suddenly force you to run quickly or risk losing the mission. It’s part of what makes Zombies, Run! ($4) such a successful fitness app, as the narrative-led missions pump your ears full of dialogue and interactions as you run around your neighborhood, on a treadmill, or through any thankfully zombie-free locale you wish. Nearly a million people have snagged the app since its debut in early 2012, and developer Six to Start has significantly expanded out the original experience with many more missions and features since. 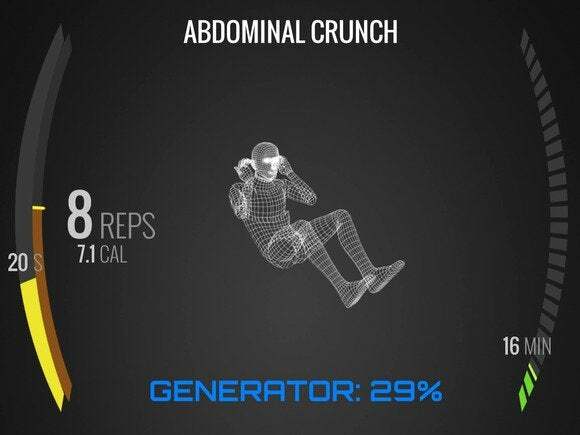 Recently, the studio put its talents to use on another fitness-centric app, Superhero Workout ($5), which focuses on body weight exercises you can do in your own home, but jazzes things up with comic-like scenarios. I spoke with members of the London-based team to discuss its philosophy towards improving personal fitness apps and find out what’s ahead for them. Zombies, Run! pulls you further into the adventure by letting you expand and enhance your home base between runs. Zombies, Run! was their first attempt at doing so, and it remains the studio’s best-known work, putting you in the role of Runner 5 as you leave your refugee compound in search of supplies. As you run, the iOS and Android app monitors your progress and pushes the story forward accordingly, wrapping you up in the tense tale of a daring courier amidst a horrifying setting. What began with about 30 playable missions following a successful Kickstarter campaign has now blossomed into an expansive experience with about 200 total missions. Six to Start co-created the game with author Naomi Alderman, who over lunch in early 2011 shared with Hon that she’d joined an online running group. One fellow member apparently claimed to have joined to get in shape “to survive the zombie apocalypse,” and the offhand comment sent their minds sprinting. Funded by the UK government, The Walk opens up new audio segments as you log more and more minutes walking each day. Its success also caught the attention of the United Kingdom’s National Health Service and Department of Health, which last year funded The Walk, another mobile app co-created by Six to Start and Alderman. Focused on rewarding players who choose to spend more time on their feet during the day, it again used narrative (this time with a sci-fi theme and an intriguing conspiracy) to encourage movement from those perhaps not likely to find dedicated chunks of time to work out. This August, Six to Start shifted away from cardio and launched a brand new kind of fitness app, Superhero Workout. Like the company’s previous apps, there’s a thematic hook here: you’ll take on missions and complete body weight reps by performing special moves, like punching the air to deflect virtual missiles and doing crunches to charge up a generator. Superhero Workout uses the device camera to count your reps, and you’ll have to pay attention to keep up with the rotating exercises. Doing push-ups to charge a reactor? I don’t know… is this reactor really important, or can I just take a breather? Whereas an app like Zombies, Run! is meant to spur on your workout without the device ever leaving your pocket, Superhero Workout has you prop up your iPhone or iPad so you can see the screen—and so that the front camera can see you too. As you perform the exercises and follow the action-packed prompts, the camera tracks your reps and calories burned, both so you’re informed and so that the app can keep you engaged as it rolls on to the next set of workouts. That last part also provided a unique test for the team. Your iPhone watches you to make sure you’re not slacking on those reps. But while very different in tone and fitness target than Six to Start’s previous efforts, Superhero Workout provides another effective, immersive workout experience that draws players in with narrative and context, but ultimately gives them stellar results. It’s just a mock-up for now, but come next year, Six to Start plans to have Zombies, Run! ready and enhanced for the Apple Watch. Hon admits that they’re interested in pursuing non-fitness games, as well, but adds that they “want to reach out to an ever broader audience” with Zombies, Run! as it approaches a million total users. A fourth season of missions for the app will launch in 2015, but Six to Start is also working on support for the Apple Watch. Apple hasn’t provided developers an SDK just yet, but the studio is investigating all of the ways (large and small) that they can utilize that next big gadget.